This is an operating FinTech company aiming at becoming a global investment bank. And they’ll allow users to invest, hold and borrow in both crypto and fiat currencies on their platform. Full details of the Fast Invest airdrop. This is a crypto-game (inspired by the CryptoKitties) about wizards who fight among themselves for treasures: EOS tokens, which will be stacked on tournament contracts. First wizard: Will be airdropped automatically after June 20 to every address in EOS network with a positive balance. Don’t forget to enter you personal cabinet (with the link in the registration email) and enter your usernames in these social networks. This is an international trade and information platform for the B2B market, where companies can trade agriculture and food products. Giltx is the new generation of blockchain technology. And their platform will allow users to purchase bitcoin effortlessly, along with other cryptocoins and tokens. In addition, they’re planning the implementation of a debit card to allow users to pay for anything anywhere in the world with their digital assets. This is a social media based crypto-currency created to be distributed around for free and gain value afterwards. Come back for more rewards and bounties! This is a platform with a unique infrastructure to reduce latencies to execute arbitrage trades as fast as possible. And they’ve developed home-made algorithms to monitor the market and identify the most profitable trades. This is another blockchain game, similar to CryptoKitties. But this one’s developed on Skycoin Fiber infrastructure. This is an investment platform designed to help investors overcome the barriers and increase the flow of capital into developing regions. Their goal is top unleash the potential of these regions. As a fan of Game of Thrones, I couldn’t miss this airdrop! This is the digital currency of the infamous Iron-bank of Braavos. This is a token for students. And you can use it to pay your tuition and your student debts. But not only! You can also purchase goods or services, even diversify your own crypto-portfolio and trade on exchanges. 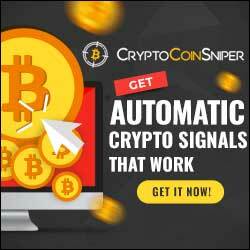 This a platform for crypto traders. It provides information, analyses, crypto-related data feeds and a constantly updated database for all cryptos and ICOs. Refer your friends and family to get more COY tokens! This is a project trying to heal the healthcare system, by creating a new health economy thanks to decentralization. This a patient-driven EHR (Electronic Health Record) on blockchain, where the analytics is managed by Artificial Intelligence (AI). And they’ve implemented an incentive drive model for better outcomes. This is a marketing and advertising platform that combines online marketing and artificial intelligence (AI). Users can run campaigns to generate new income. Fill this form and you’ll be eligible for free CSTT tokens! This is a digital currency covered by two most valuable precious goods in the world: Diamonds and Gold. And it’s powered and secured by blockchain technology. This is a digital asset but without the mining fee, what they consider a tax on the currency. There’s no ICO but an earndrop! This is a special token issued by Waves for the international soccer championship. And you can get free SOCCER tokens. This is a special token issued by Waves for the international soccer championship. And you can get free Mutcoin tokens. This is an open ecosystem on blockchain that aims at improving the interactions between funds, investors, experts, and traders during ICOs. This is an international eCommerce website which implemented its own cryptocurrency on the Waves Platform. This a digital startup ecosystem which combines an interaction network, a marketplace and an on-demand service platform. This is community of hosts and party-goers that’s implementing the blockchain technology to incentivize event creation and attendance. And users will be rewarded on a monthly basis. 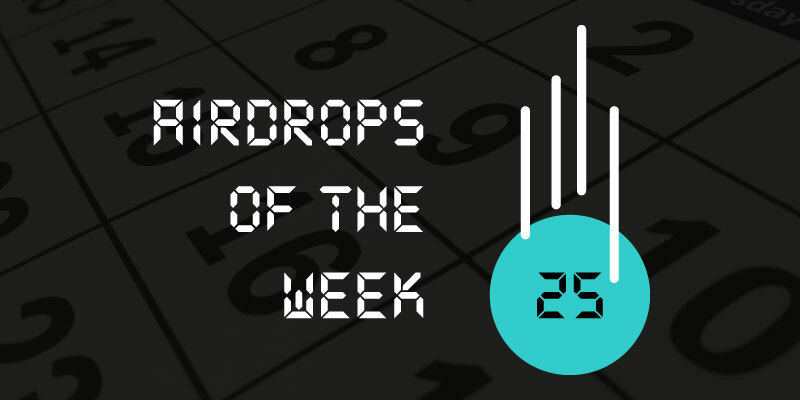 Each user can get this crypto airdrop ONLY ONCE!